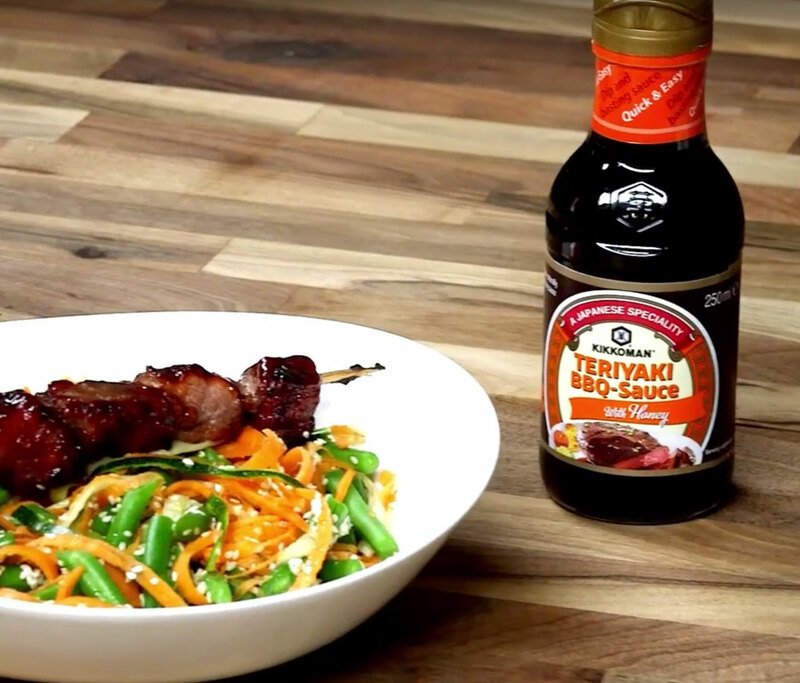 Local PR company FML, based near Surrey, wanted to create a series of “top-down” recipe videos for global Soy Sauce brand Kikkoman, for their awesome range of Teriyaki sauces. They needed it to fit a variety of social channels, with the possibility of translating into different languages. After storyboarding, we shot 6 top-down recipes, using a mixture of both sped-up footage and stop motion, as well as clever transition techniques. The videos were subsequently translated into 20 languages for use in local markets, and created in widescreen and square formats, utilising both traditional and social platforms. They went on to commission a further series of videos for web. Our food shooting experience and unique kitchen studio set-up means we are able to offer low-cost recipe video production for any brand. We are also able to create low-cost translated versions for international use, giving the client maximum exposure and huge bang-for-buck.